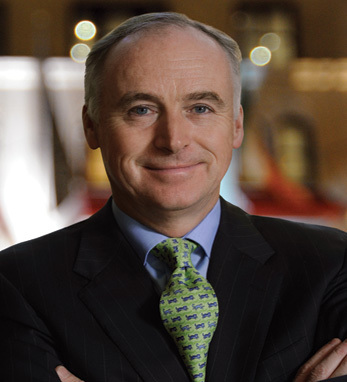 John Fitzpatrick is president and CEO of the Fitzpatrick Hotel Group, North America. John began his impressive career almost thirty years ago with a hotel management course in Ireland, followed by the prestigious hotel management course at UNLV in Las Vegas. He then returned to Ireland to work at the family hotels in Dublin and Bunratty, before moving back to the U.S. in 1991. He serves as chairman of the Hotel Association of NYC and is on the boards of the American Ireland Fund and the Ireland-US Council. In 2002, he received the Ellis Island Medal of Honor. In 2008, he was recognized for his contributions to the peace process in Northern Ireland with an honorary OBE. John is very active in a number of philanthropic activities that aid children in need and advance the peace process in Northern Ireland. In 1993 he founded the Eithne and Paddy Fitzpatrick Memorial Foundation in memory of his parents. The foundation has generated more than $1.3 million for charities dedicated to such causes.